Erik Matti flexes his directorial prowess with an intense, no-holds-barred thriller. (SPOT.ph) BuyBust is not an action movie. Neither is it a police drama. It might be a statement film against the Philippine government drug war, but in reality, it’s also director Erik Matti’s take on a zombie apocalypse scenario. The award-winning auteur, who co-wrote the film with Anton Santamaria, seems less concerned about delivering a cohesive story but is able to show off his ability to direct sequences of pure and absolute mayhem. Anne Curtis plays Nina Manigan, a drug-enforcement agent who in the beginning of the story is going through the paces of integrating with a new Philippine Drug Enforcement Agency unit. Curtis is brilliant in the role, convincing as a hardened operative who’s seen some terrible things. 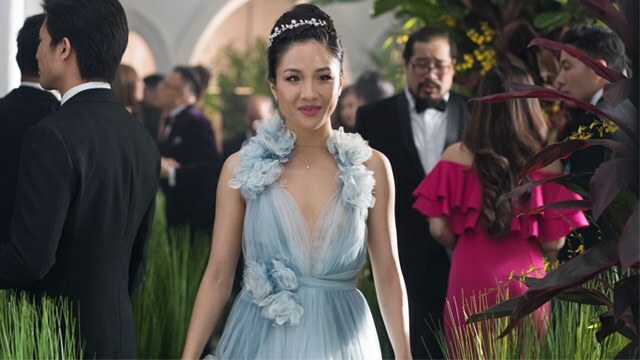 Through the course of the film, she keeps pace with her co-star, ONE Championship Light Heavyweight champion Brandon Vera, who plays superstitious strongman agent Rico Yatco. Manigan, Yatco, and the rest of their unit are tasked to nab drug lord Biggie Chen in a sting operation with the help of stool pigeon Teban (Alex Calleja), a mid-level drug dealer. With the exception of Manigan’s training and initiation preamble, the entirety of the film occurs over the course of one night. Matti marks the film with red, bold timestamps that fill the screen at particular junctions to give audiences a sense of how much time has passed. It’s a wonderfully loud visual device that underscores the tension during the brief pauses between the action. The team is taken to the claustrophobia-inducing back alleys of a shantytown called Gracia ni Maria—and it’s a jarring, eye-opening peek into the seedy underbelly of the city that most people try to look away from. BuyBust revels in the dirt, the grime, and the darkness of poor, infested Manila. It forces audiences to look at the ugliness of a people severed from any guiding sense of what’s right, however cartoonish and inane. The sting operation quickly and inevitably goes to hell after an extremely tense stakeout. BuyBust is visually breathtaking. Neil Derrick Bion’s cinematography complements Matti’s fast-paced approach and some of the best parts of the film are the long, single-take tracking shots that follow either Manigan or Yatco as they fend off throngs of crazed, murderous squatters. BuyBust is a zombie movie masquerading as a police action film. Matti turns the crowd into a pipe-swinging, shiv-stabbing mob that goes after our heroes wave after wave like a video game. There’s no sensible motive beyond the fact that these people are terrorized by a drug syndicate into abandoning all reason and throwing their lives away trying to stamp out the Philippine Drug Enforcement Agency like they were vermin. 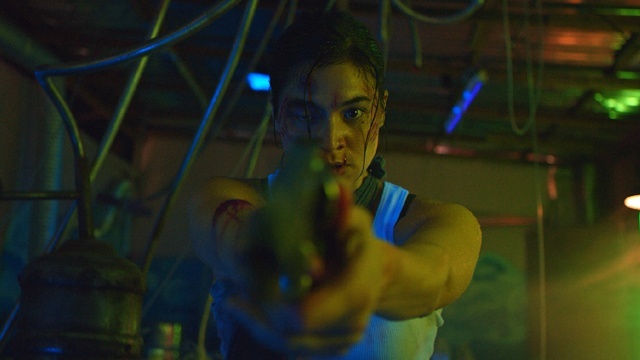 BuyBust is frenetic, insane, and utterly absurd. It is Matti’s answer to Matthew Vaughn, Takashi Miike, Gareth Evans, and Quentin Tarantino. It is Matti flexing his directorial prowess, staking his claim as the country’s most aggressively visionary director. It’s cartoonishly violent, with a couple of ridiculous villains like Manok (Joross Gamboa) and the albino-like, pockmarked Biggie Chen. The violence is over-the-top, excessive, and vividly graphic. From getting shanked repeatedly with crude knives to beheading with garden shears, an absurd number of people die in this film in the goriest ways. Matti attempts to inject a plot by giving Manigan a backstory that involves losing her old unit who were set up by a traitorous informant, giving her a sense of déjà vu when it happens again. Given the political climate and context of the film, it's a bold choice to put a character like Manigan in the spotlight—she suffers from PTSD and is clearly unfit to be on the field. Some may find her clear lack of ethics—from discarding protocol down to shooting an unarmed, restrained man in the head with little provocation—even more disturbing than the excessive violence. Flawed characters are interesting, but Manigan is unhinged and reprehensibly broken. Yet, despite everything, Curtis delivers a commendable performance. BuyBust attempts to make a pointed statement about the Philippine drug war—about how it is staged and futile—with its last line being a chillingly familiar and tired refrain. But whereas Matti excels for most of the film in showing impressively shot sequences, in the third act, Biggie Chen is reduced to explaining everything in a monologue—not something you'd expect in a film with tremendously powerful visual language. While the shots and lighting are superb, BuyBust elevates itself with phenomenally good sound design. Matti’s clever use of radio communications during the stakeout heightens the tension. From wailing sirens to pouring rain to the clanging of metal roofing and crashing of flimsy wooden walls, BuyBust is a hallmark of immersive sound design that pushes a story forward. 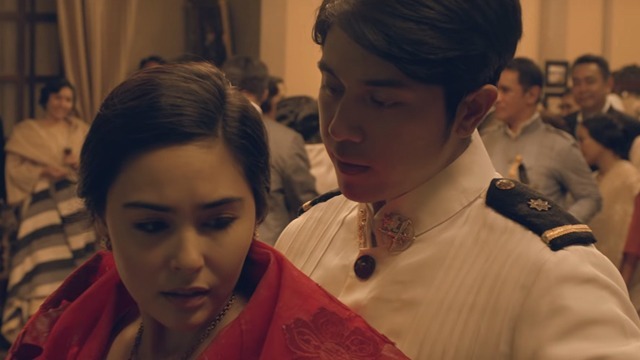 Much praise must also be given to the exceedingly good score; Erwin Romulo and Malek Lopez’s use of local instruments, such as the kubing and kutiyapi, infuse the story with so much character and flavor. The action scenes are creative, and the actors have been trained well. Clocking in at over two hours, there are parts where the action gets bogged down by its tedium and monotony, but slogging through it can be rewarding with expectations properly set. It’s just as entertaining to see a female agent perform a flying armbar as it is to see the gigantic Vera hoist a motorcycle overhead and smash a Tondo thug. If the latter sounds super heroic, it’s because it is. BuyBust stretches the limits of reason and reduces the world and its players to a caricature, which is why it should be enjoyed less as an insightful commentary on the drug war than as an entertaining action thriller. BuyBust is now in theaters.